If you’re looking for a classic combination of traditional interior design and effective, functional window coverings, look no further. 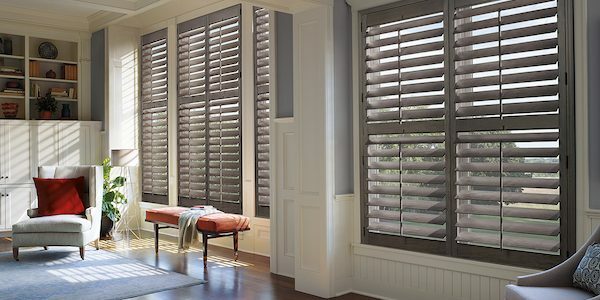 The plantation shutter is one of the most proven window coverings you’re ever going to find. It provides privacy, protection, great looks, and convenient use, all rolled up into one. For rock solid performance and reliability, you can’t beat the shutter that inspired them all: the plantation shutter. Conjure up visions of interior window shutters, and in all likelihood, that’s a plantation shutter you’re looking at. Their standard makeup consists of multiple rows of horizontal wood, metal, faux wood or vinyl shutter slats with a single vertical bar running down the center. 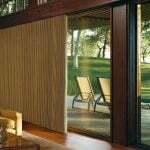 The center bar is attached to the slats so that moving it up or down allows you to open or close the shutters for privacy, and adjust the amount of light you let into the room. Most homeowners choose to install these interior shutters because of their classic, traditional appearance. 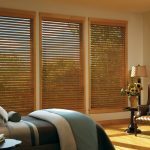 Plantation shutters offer a number of other benefits, however, that are often overlooked by homeowners shopping for quality window coverings. Interior Design— Contrary to window shades, blinds, and other window coverings, window shutters can be painted to perfectly match, or contrast, your interior design scheme. 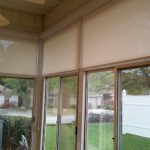 Few other window coverings offer that versatility when it comes to enhancing the interior aesthetics of your home. 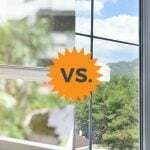 Insulation— There’s a reason Victorian homes incorporated both window shutters and curtains when it came to window coverings. While curtains set the tone for the room, window shutters provided an extra layer of insulation against what were often leaky and inefficient panes of glass. While today’s windows are much more energy efficient and leak free, a plantation shutter still provides an extra layer of insulation. That’s a big plus in a time when energy efficiency is a top homeowner concern. 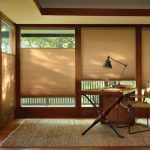 Light Control— Besides design considerations and insulation, a plantation window shutter also provides a level of light control that few window coverings offer. 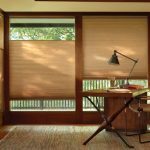 By adjusting your slats to the proper position, you can let in as much, or as little, light as you want. 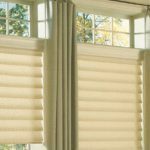 When you add to that the attractive, traditional looks of plantation style window shutters, there’s really no better alternative than these timeless window coverings. Need to find a pro for your plantation shutters? 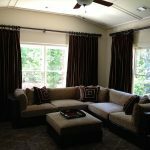 If you think plantation window shutters might be what you’ve been searching for, talk to an interior designer, interior decorator, or window treatment specialist about the right design, style, material, and color of shutter for your home.